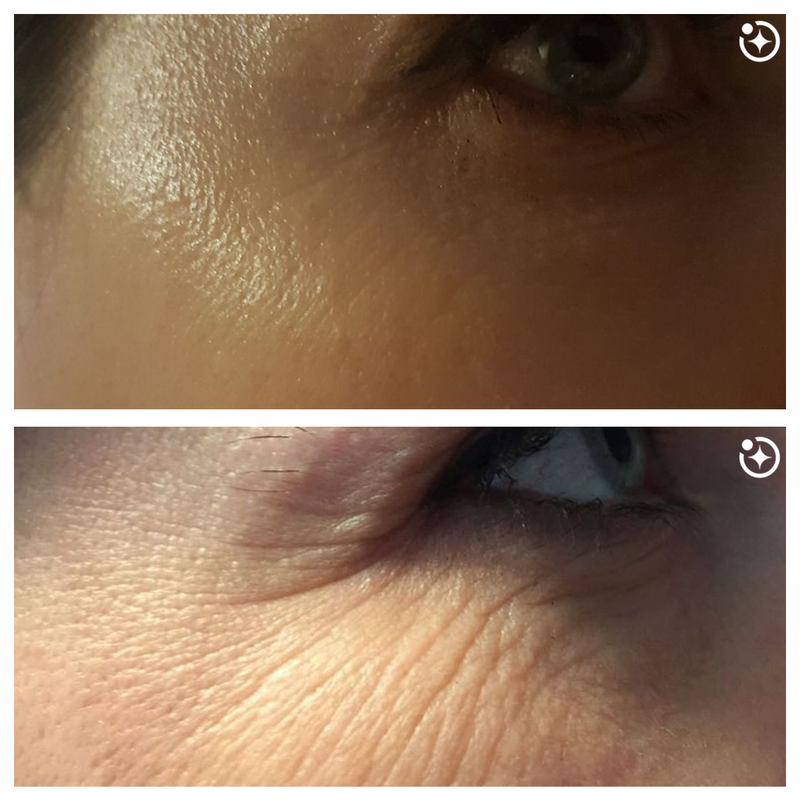 click here for training classes! 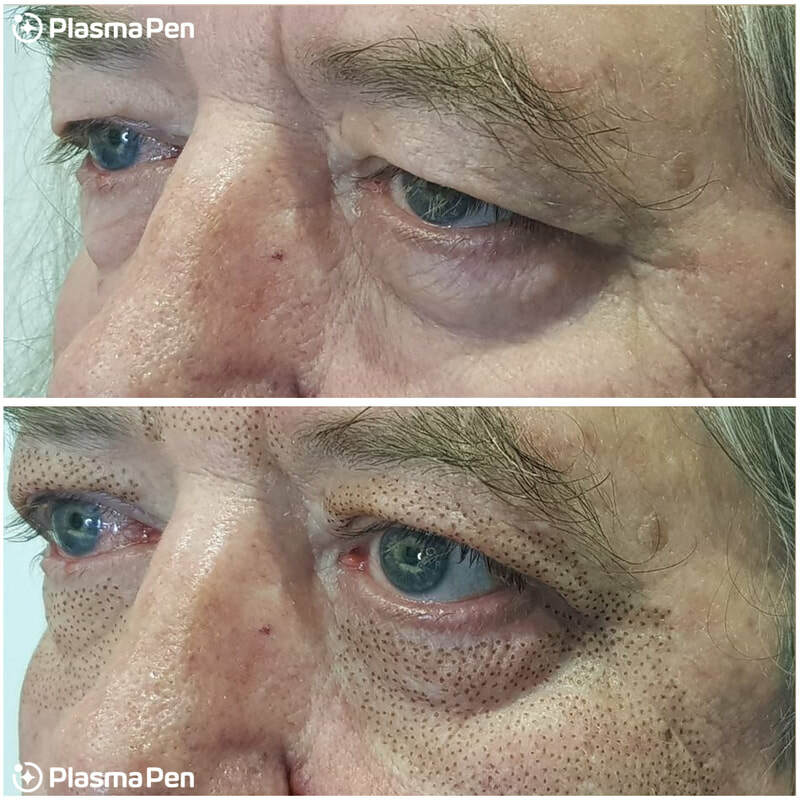 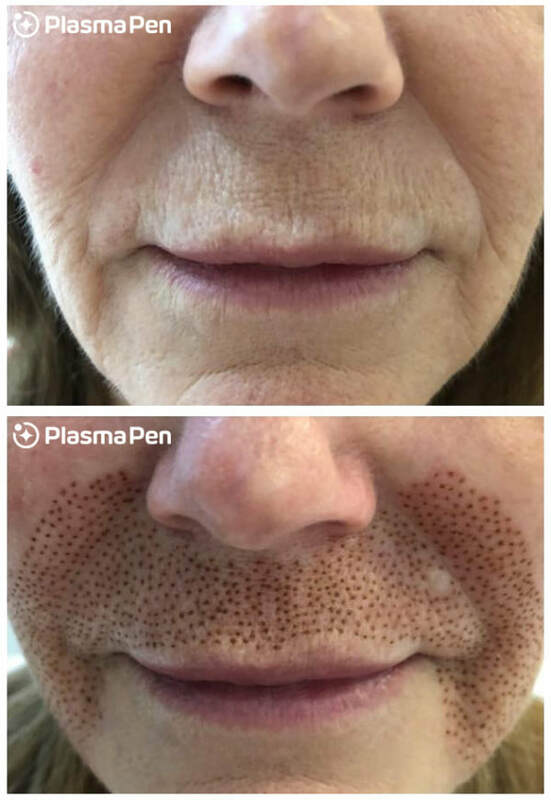 am i a candidate for plasma pen treatments? 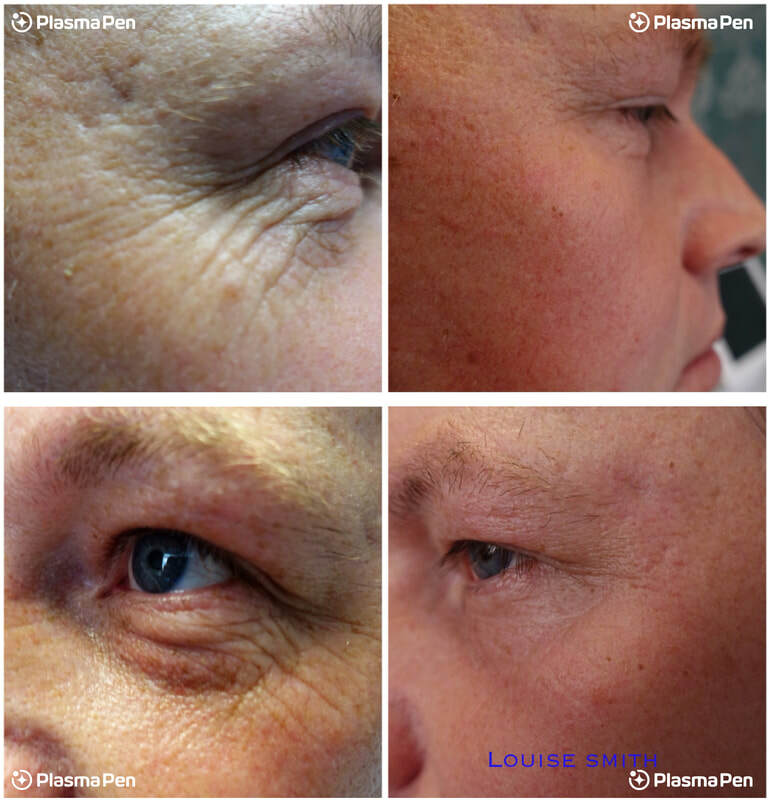 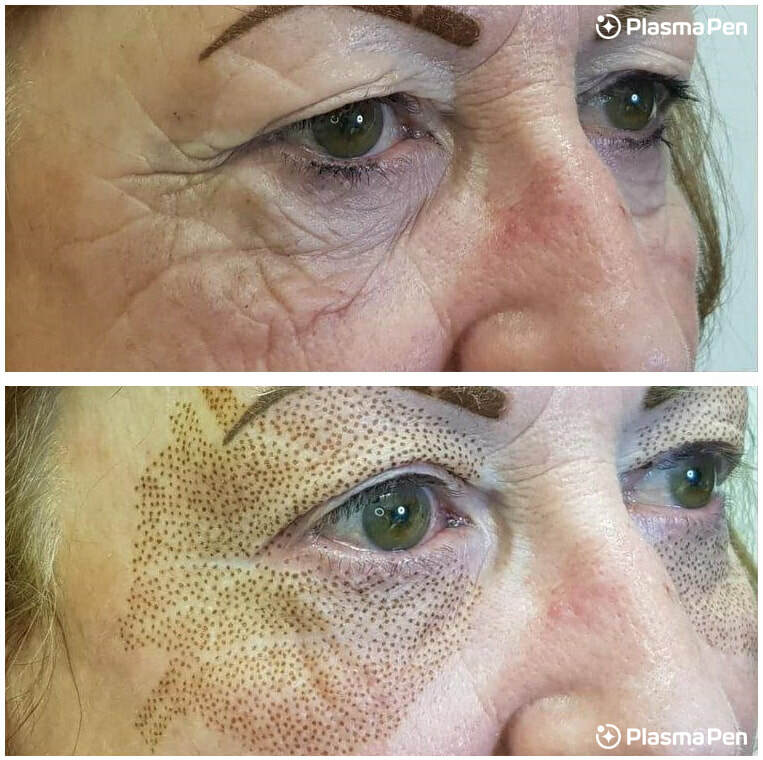 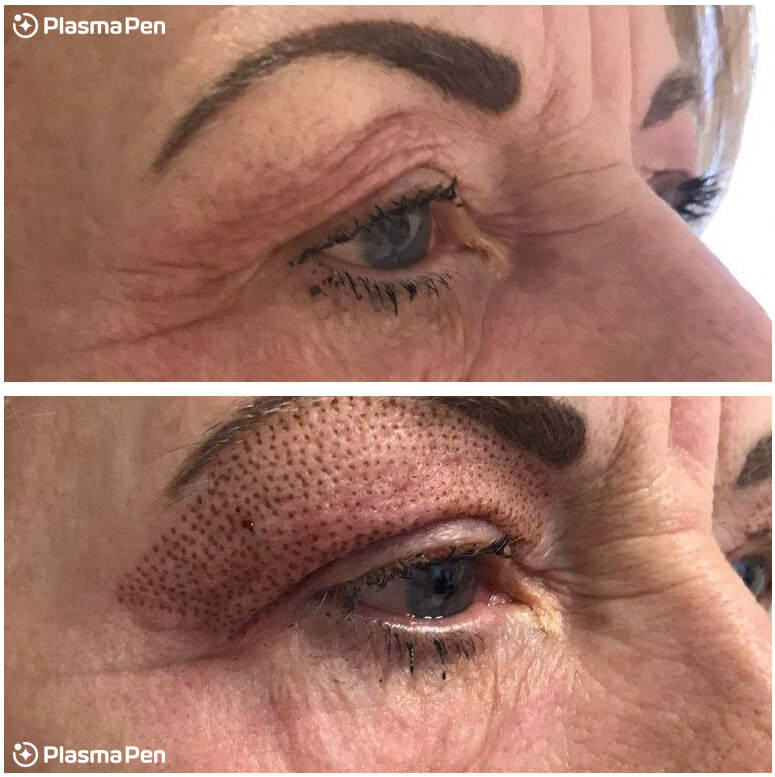 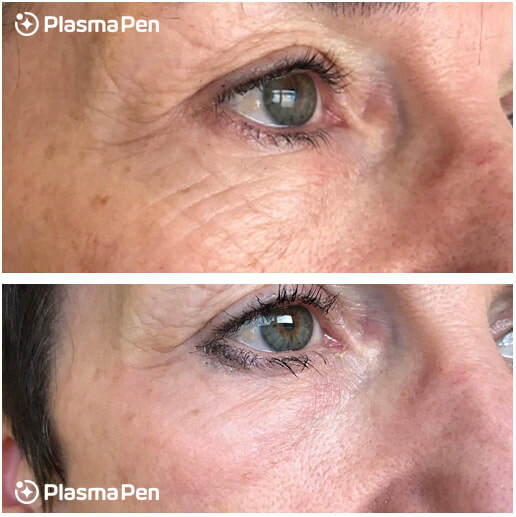 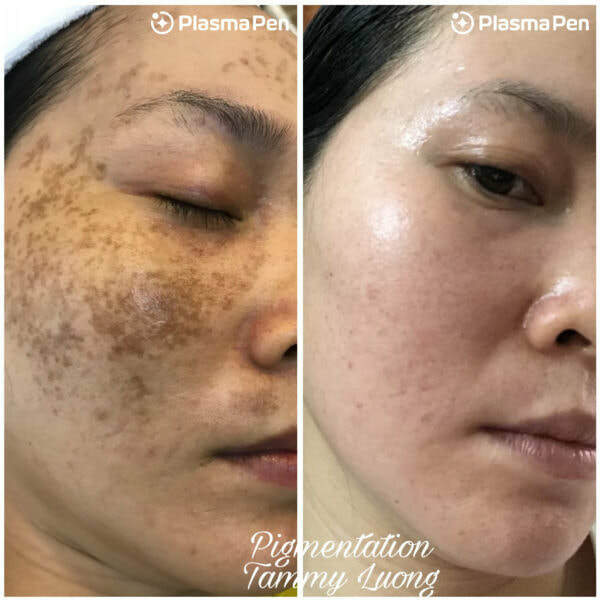 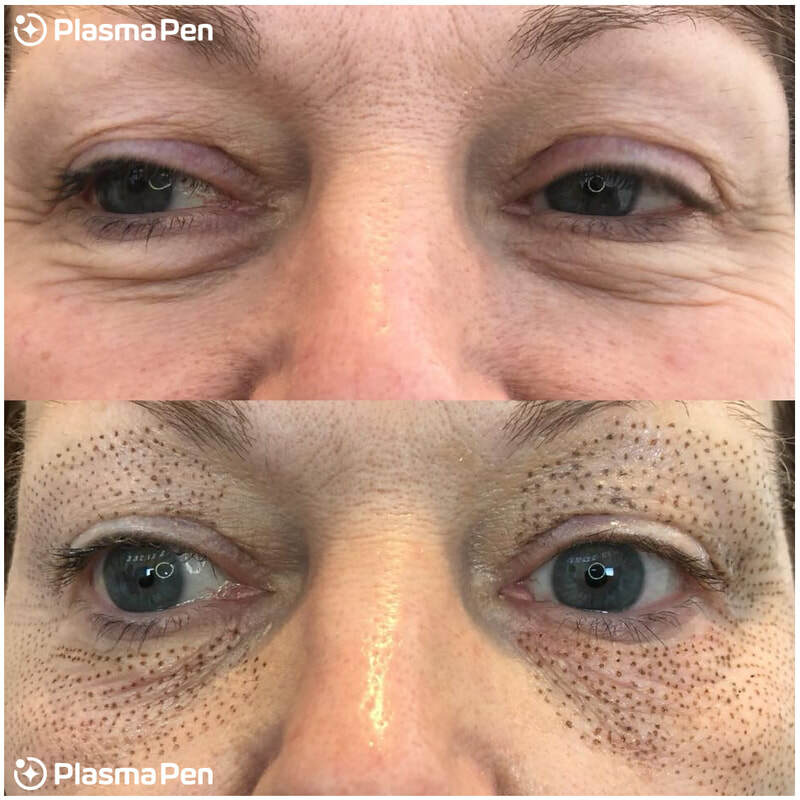 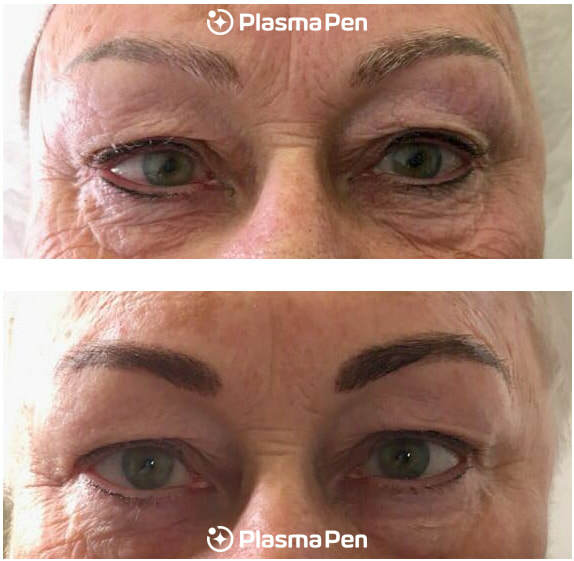 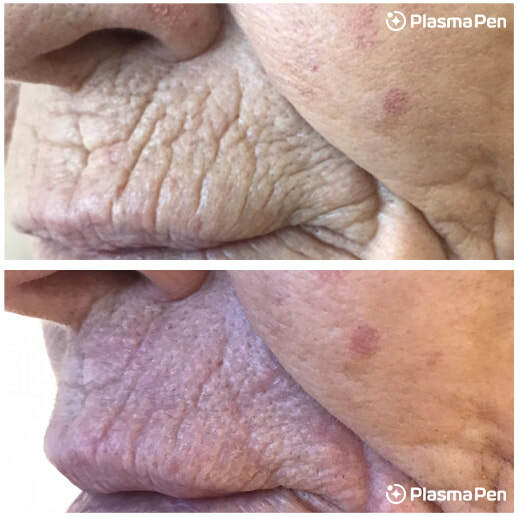 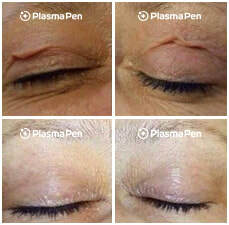 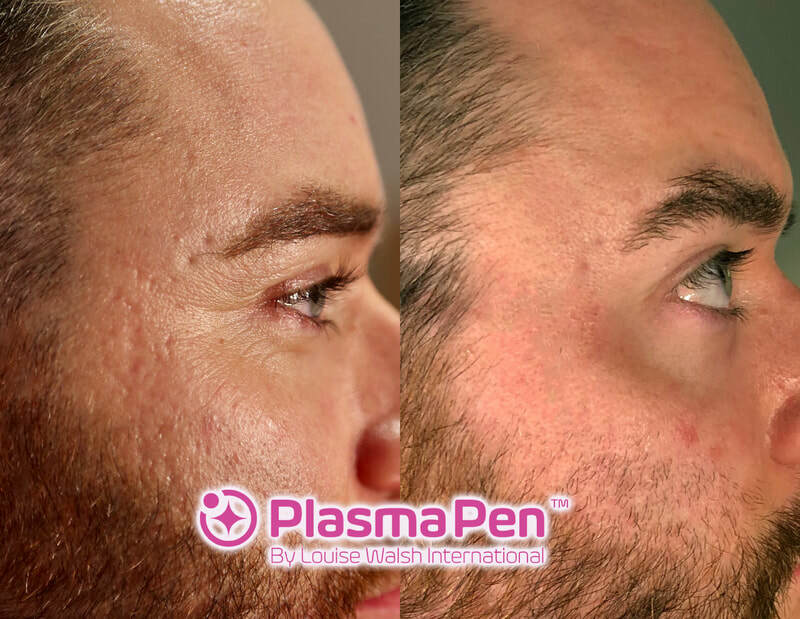 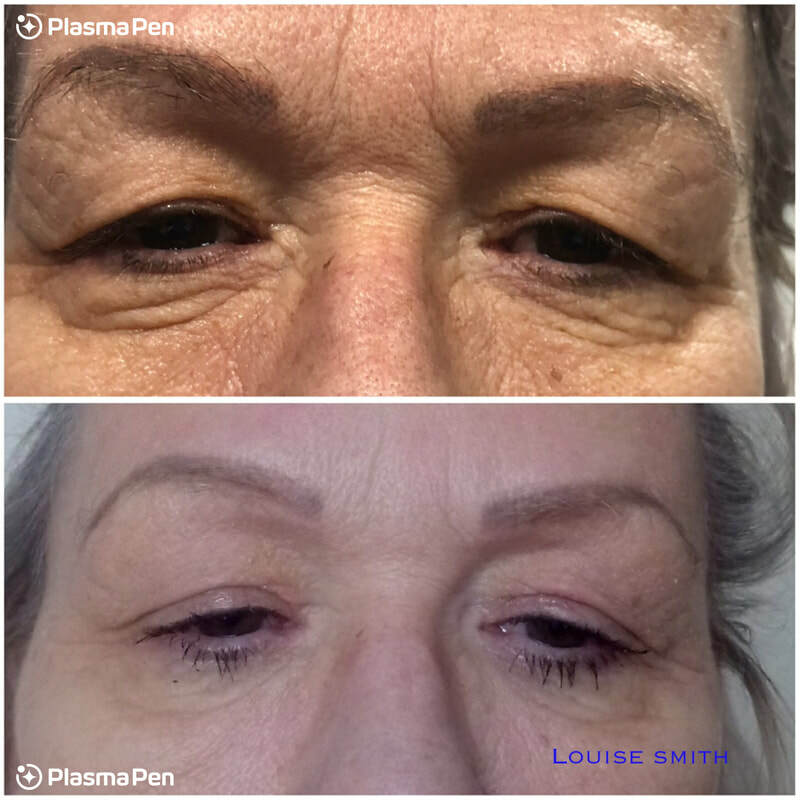 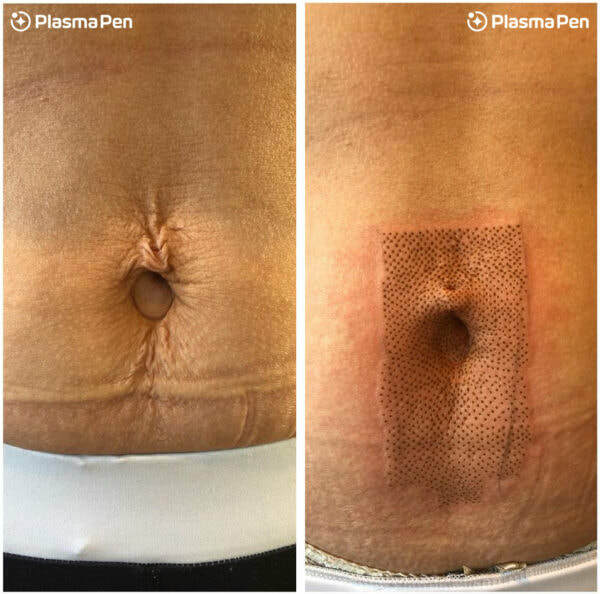 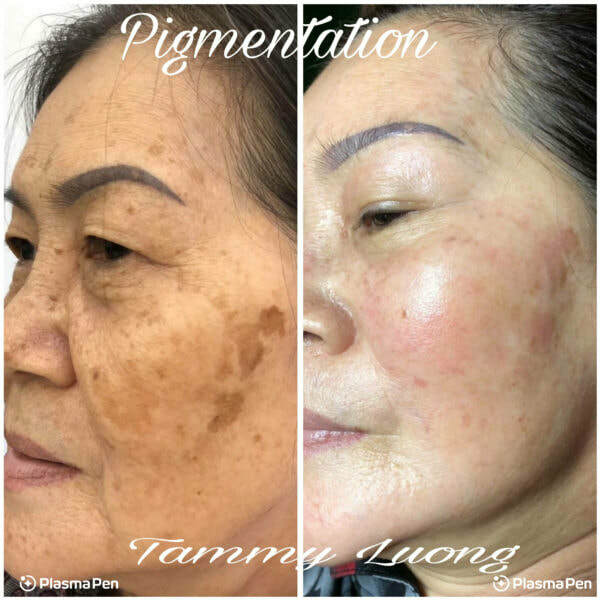 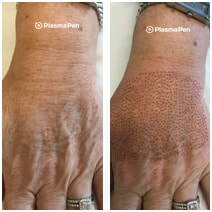 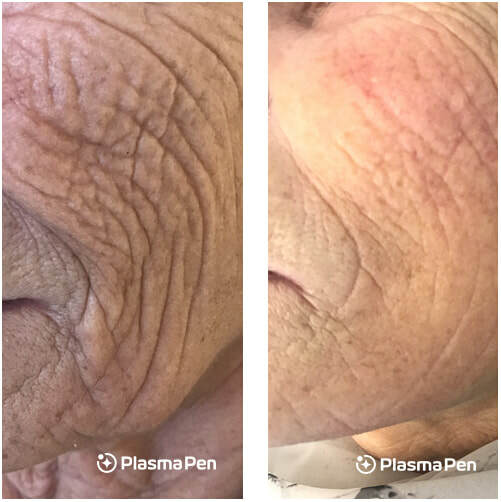 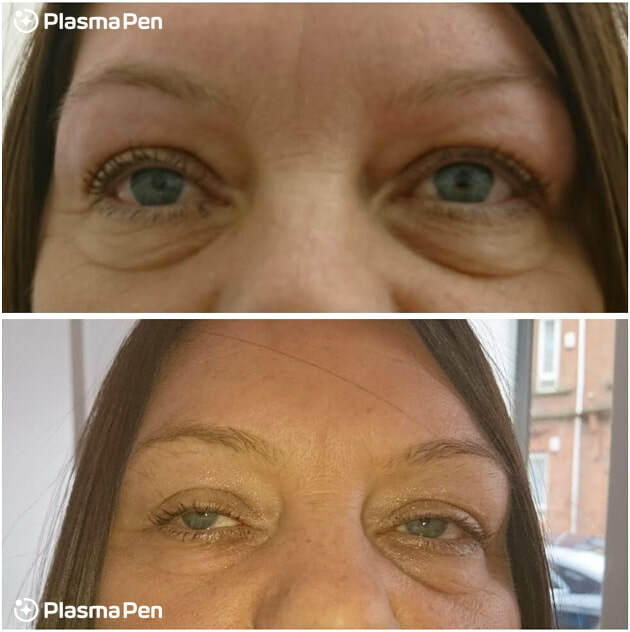 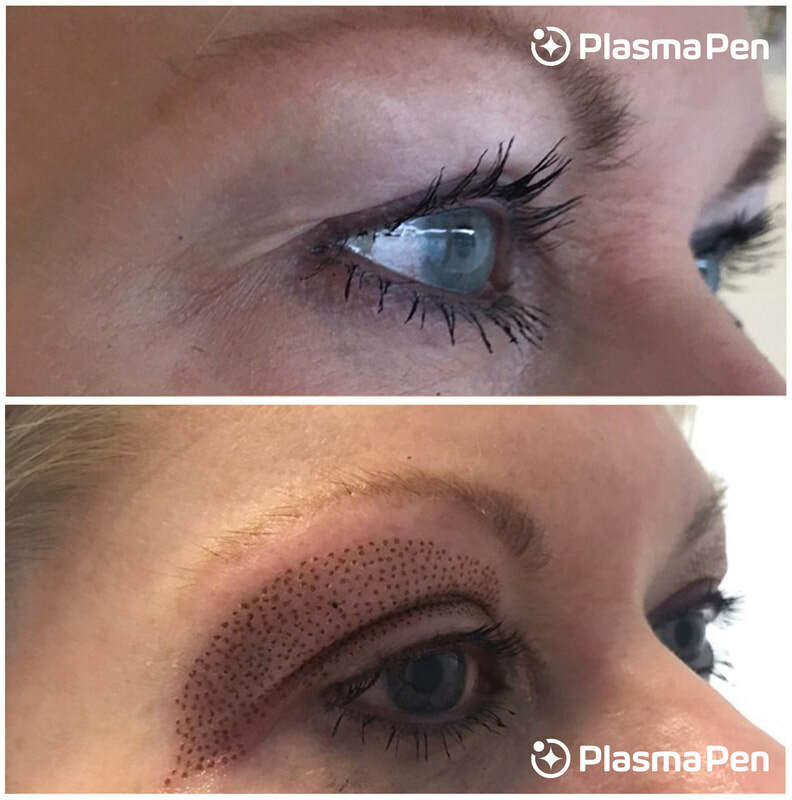 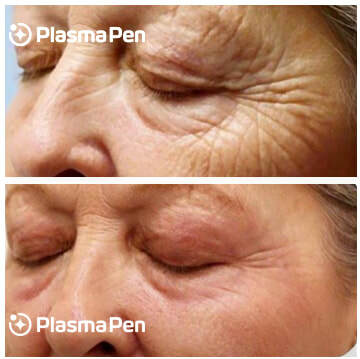 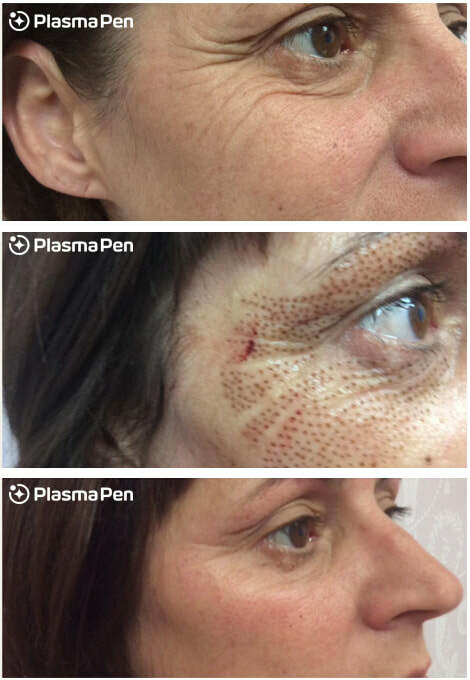 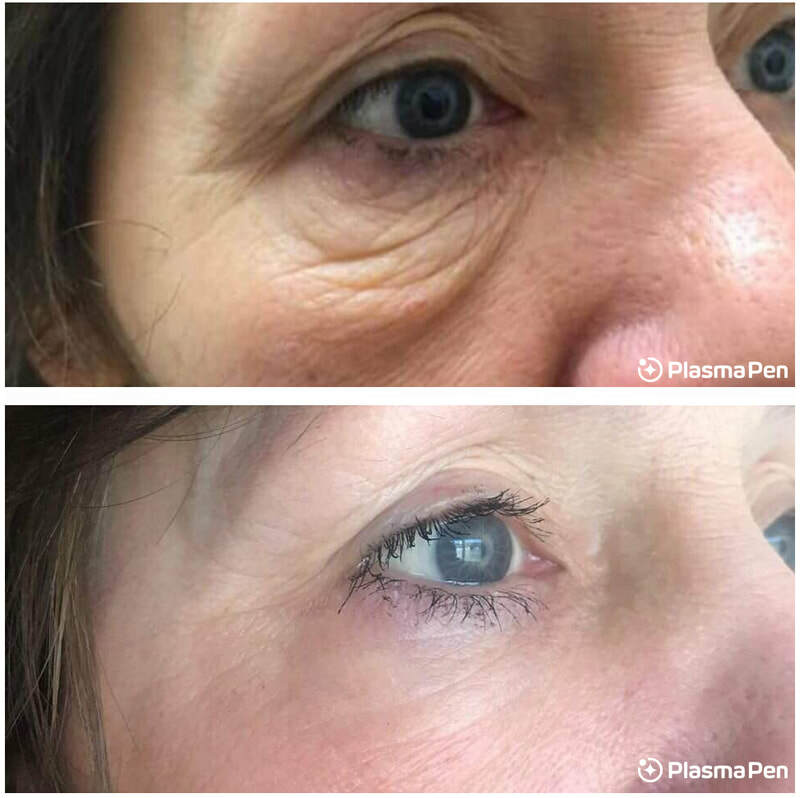 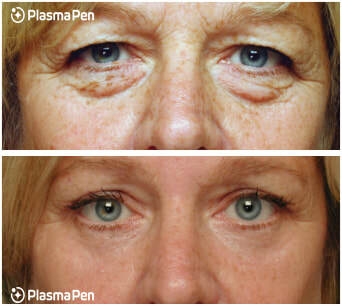 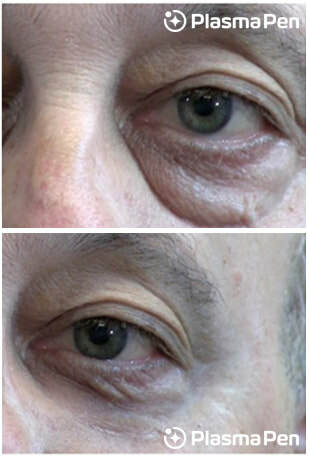 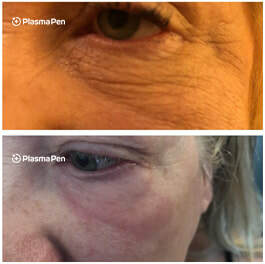 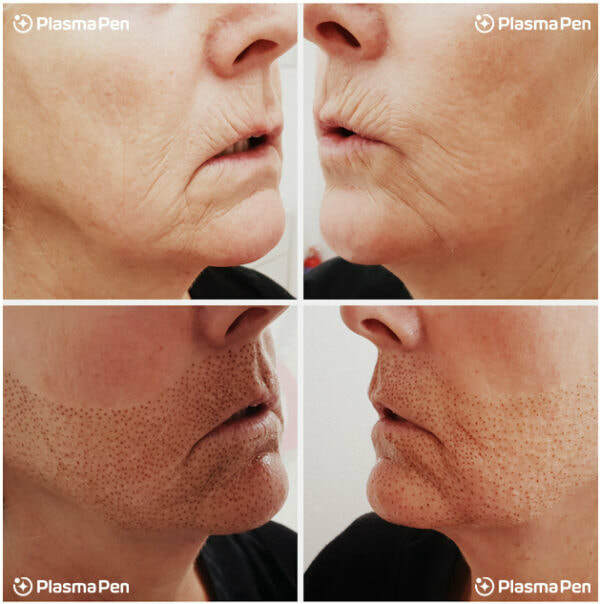 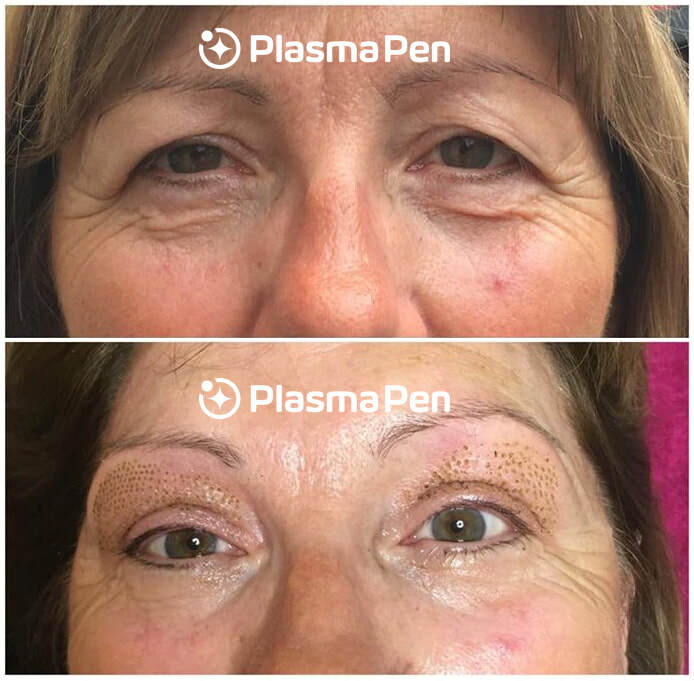 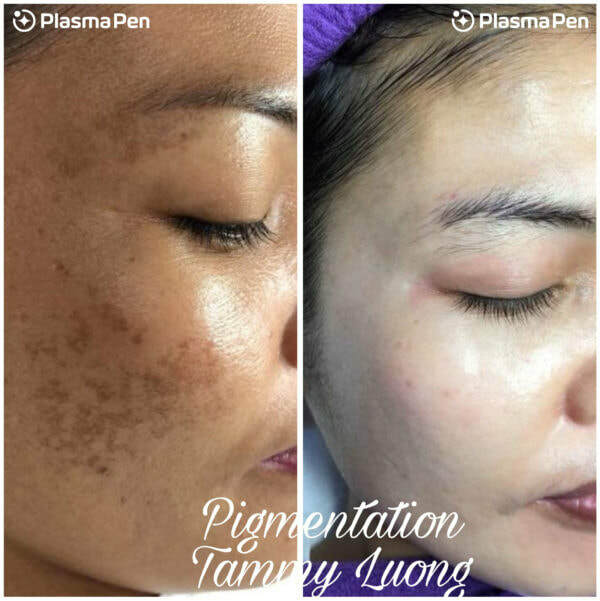 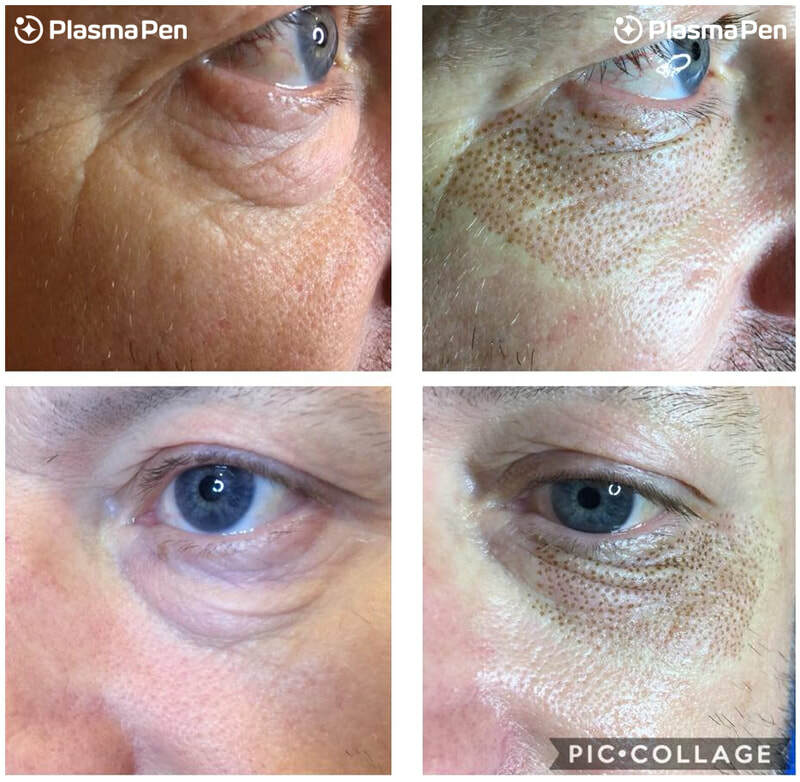 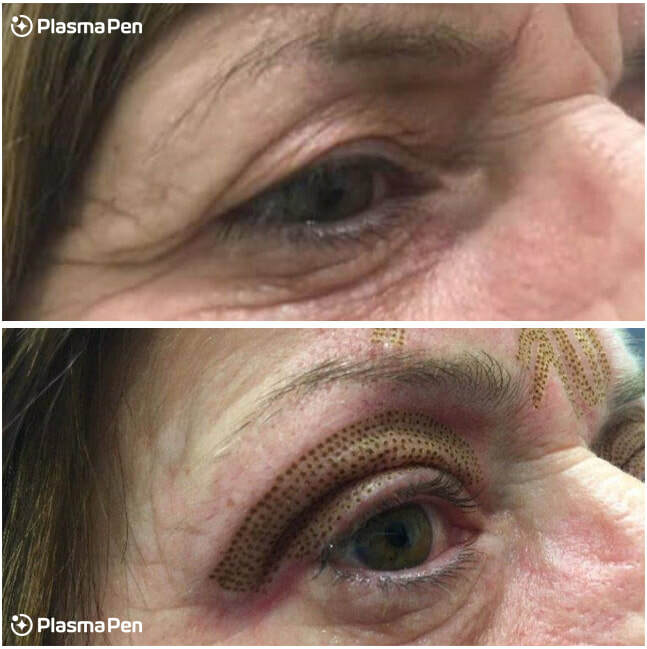 Plasma Pen treatments can only be performed on skin types 1-3. 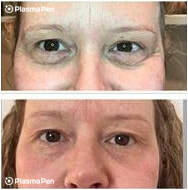 If you are a type 4, a consultation will determine if you are a candidate. 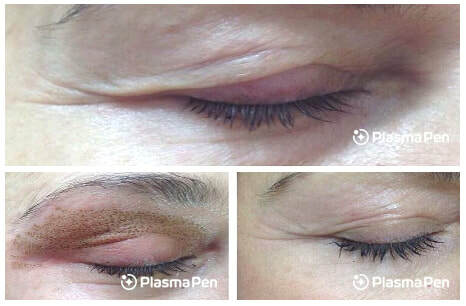 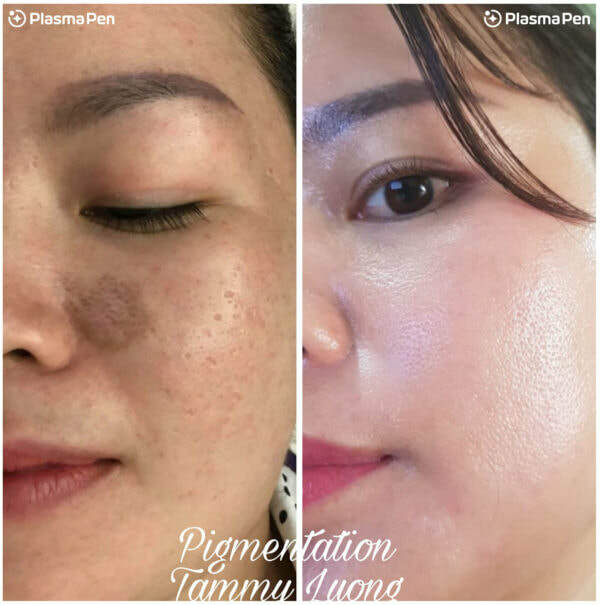 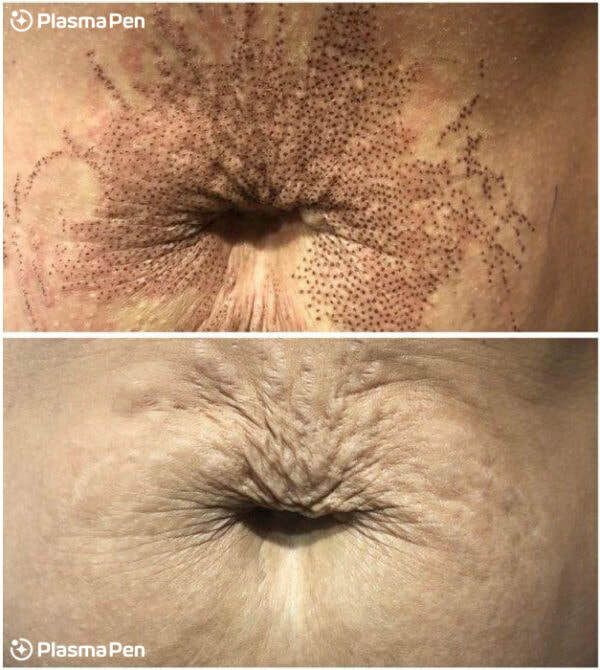 Unfortunately, we are not able to perform Plasma Pen treatments on skin types 5 and 6. 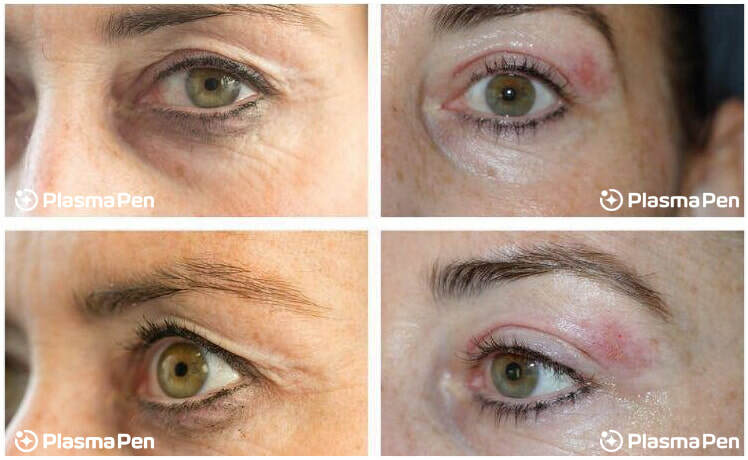 If you are unsure which skin type you fall under, please contact us to schedule a consultation! 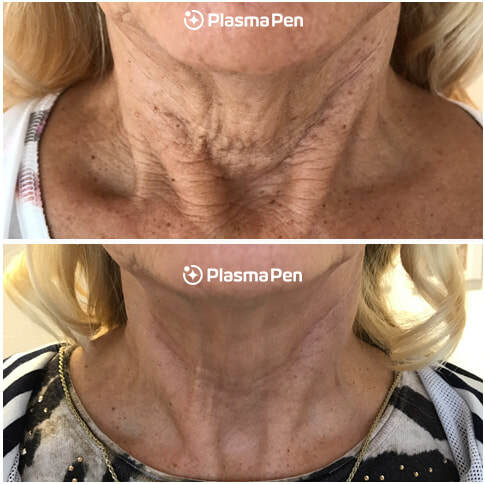 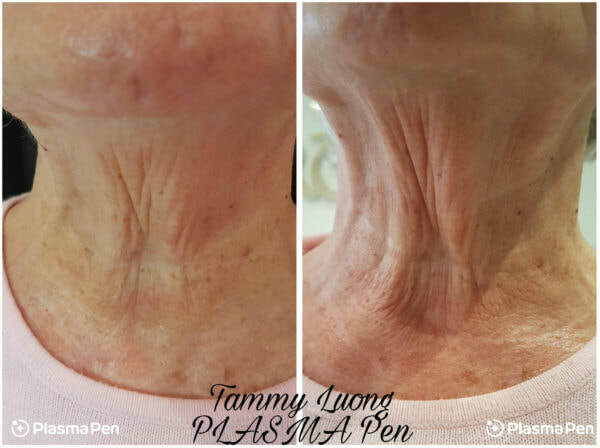 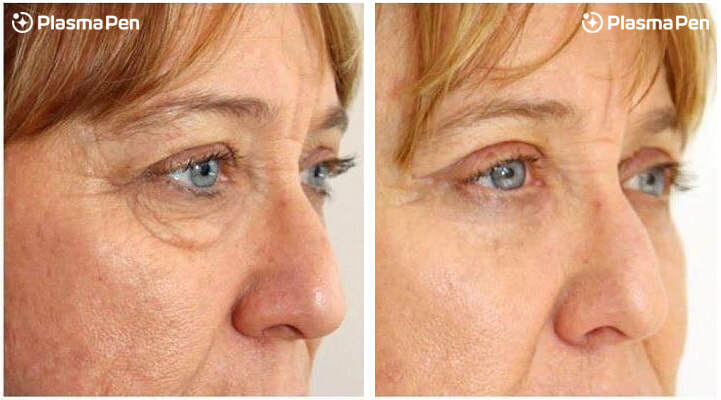 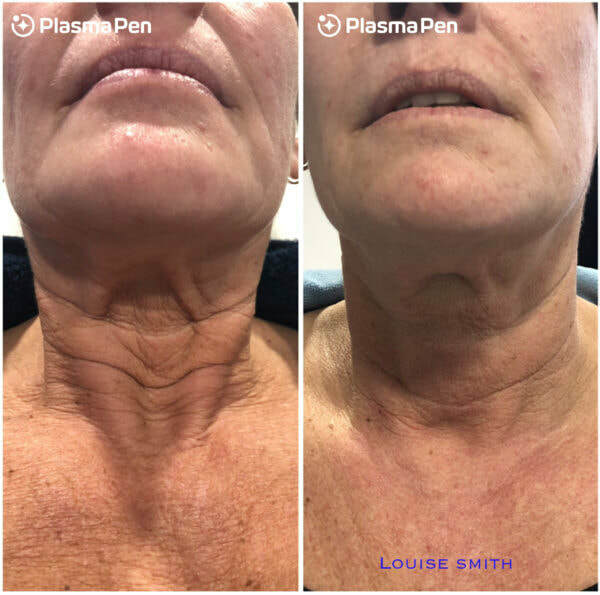 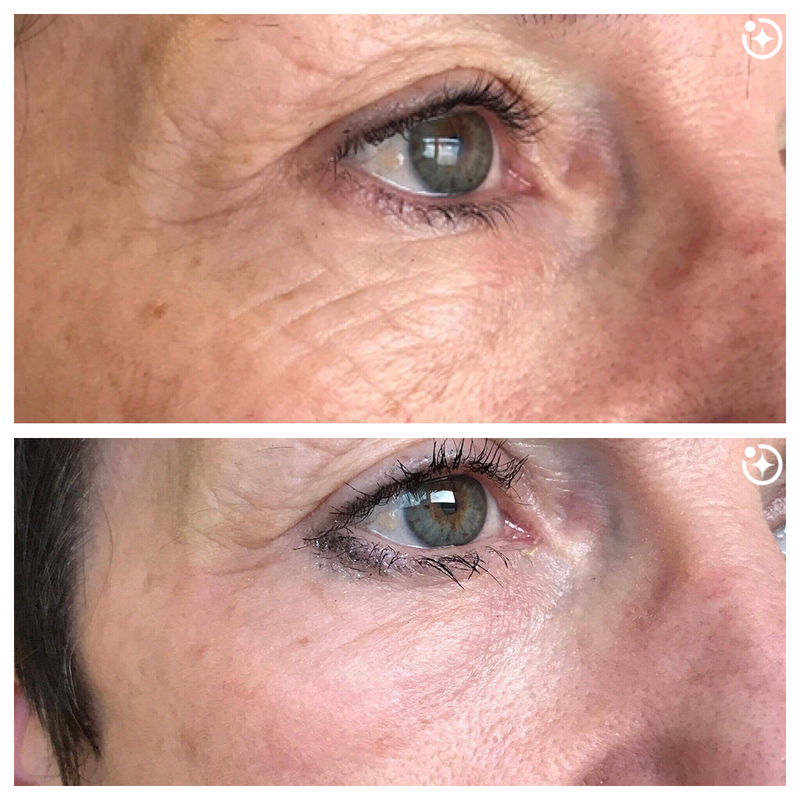 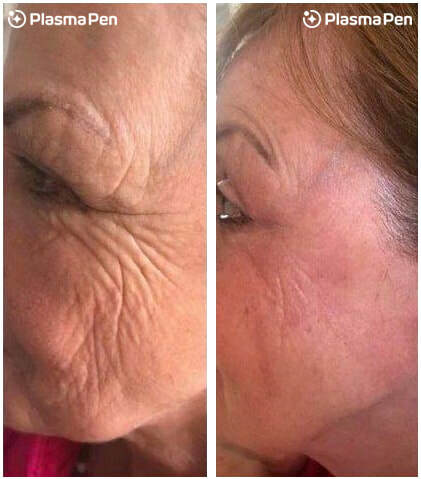 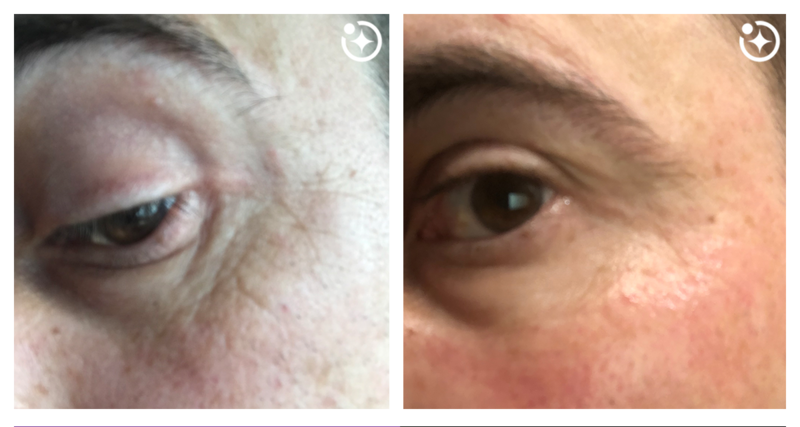 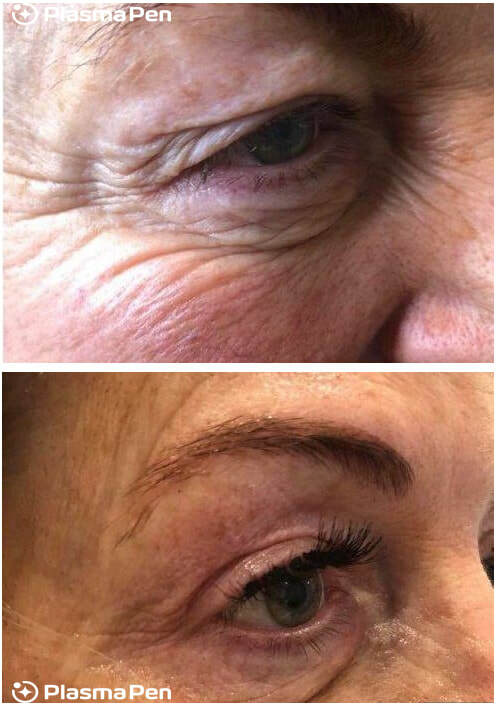 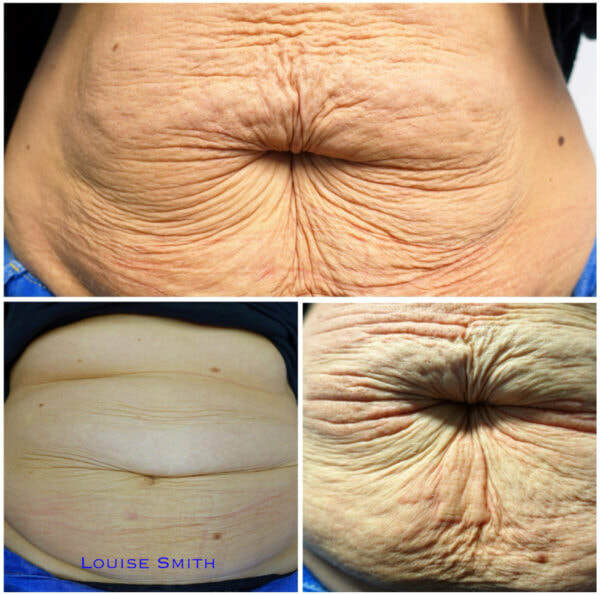 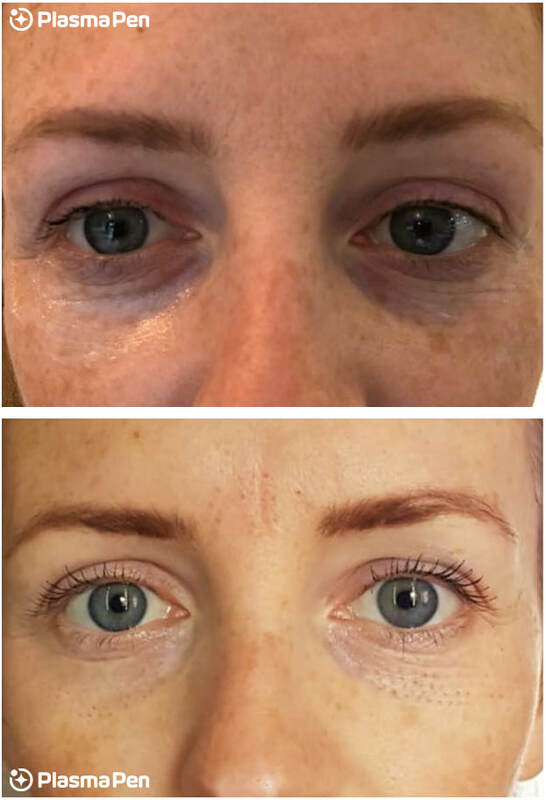 Very simply, our device is able to significantly tighten, lift, resurface, rejuvenate and regenerate practically any area of the skin. 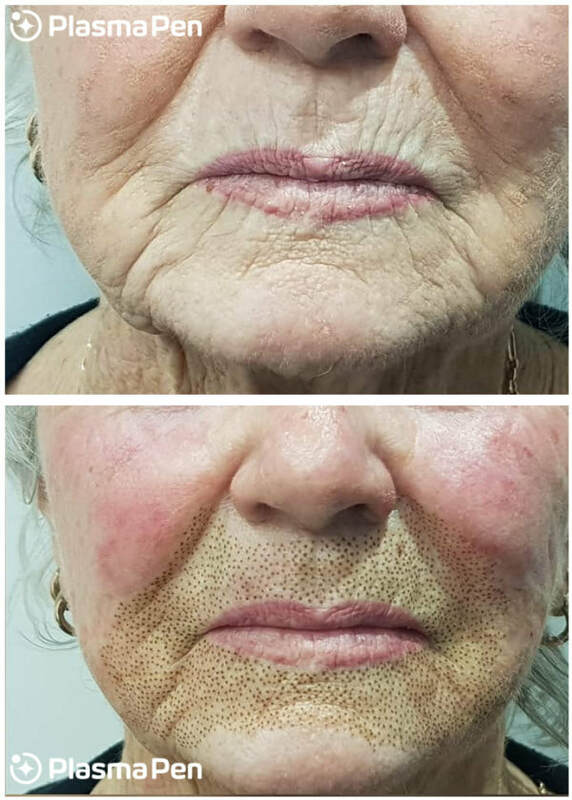 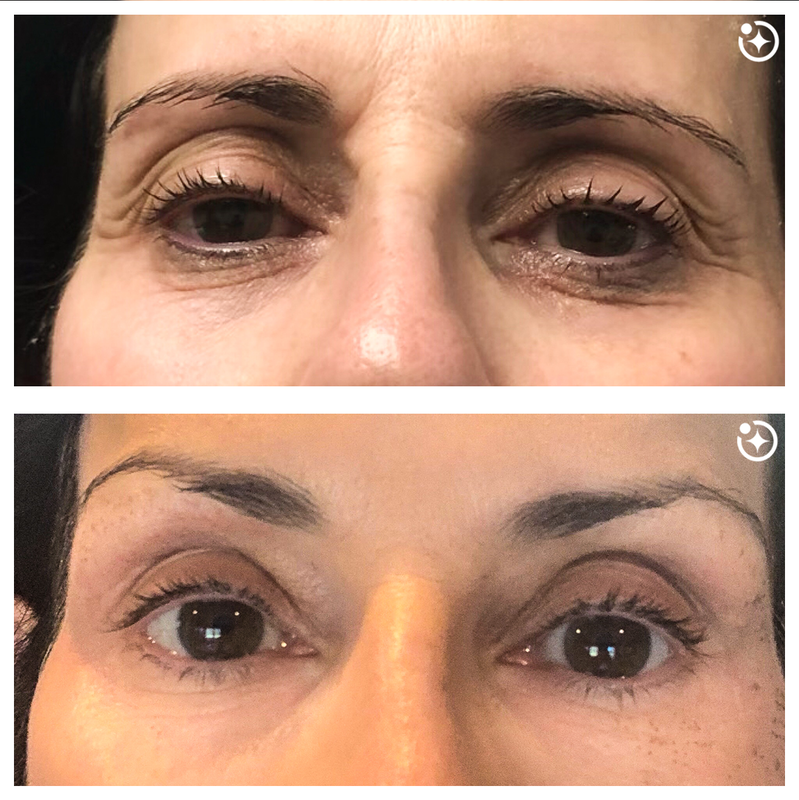 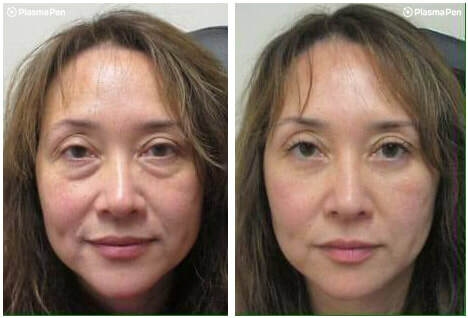 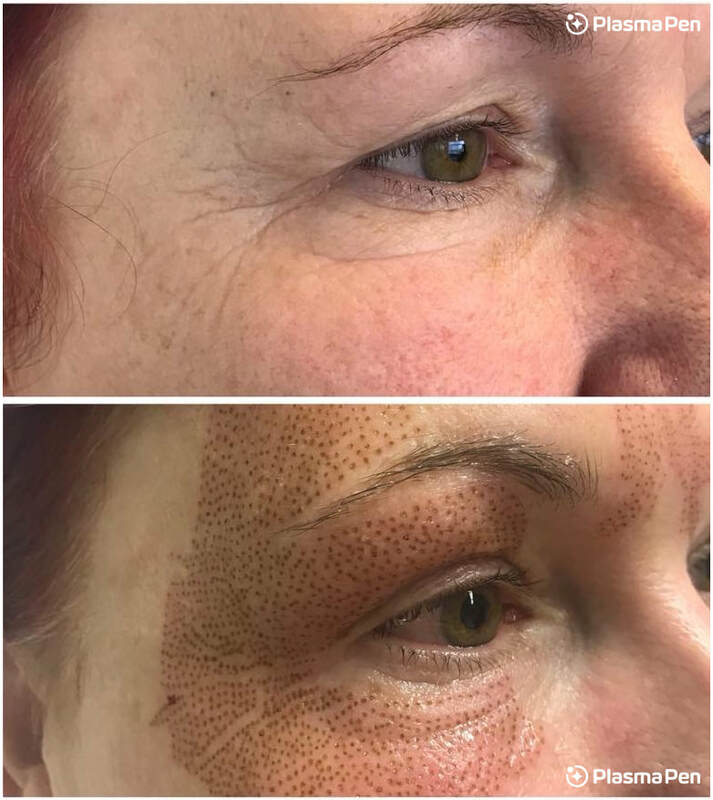 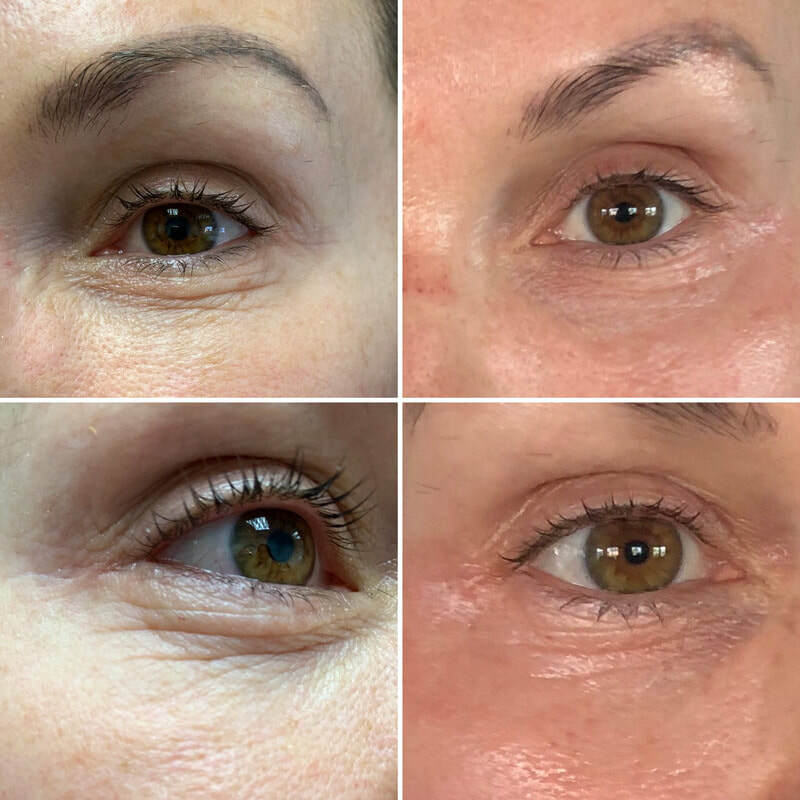 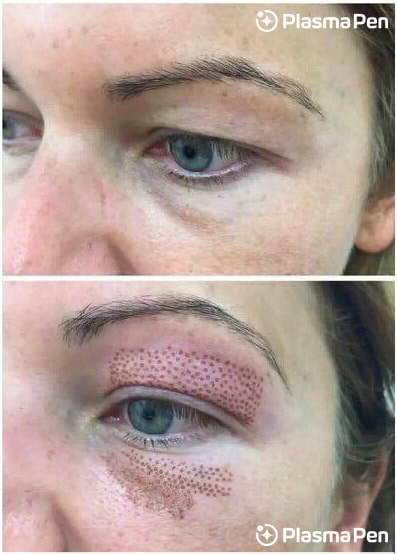 It is a cost-effective and highly compelling alternative to all other medi-aesthetic procedures you may know - including injectables, fillers, microneedling, laser, mesotherapy, dermabrasion and chemabrasion, and most (if not all) elective cosmetic surgery procedures. 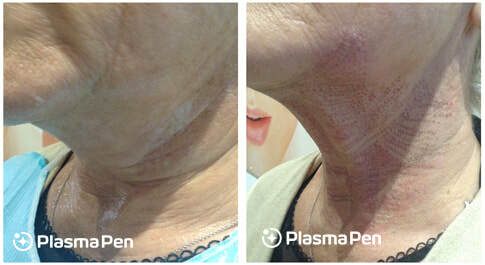 Our Plasma Pen handpiece converts electrical energy into an electrostatic energy to create artificial nitrogen plasma. 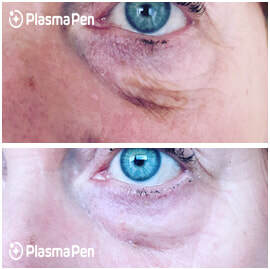 Inside our device, an electrical discharge is made by introducing voltage between two electrodes separated by a “dielectric barrier”. 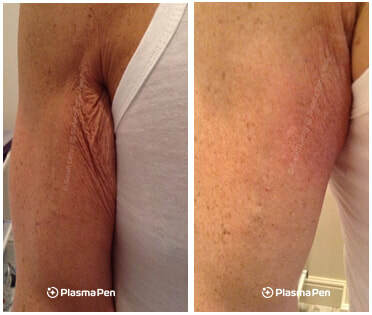 As the charge collects on the surface of the barrier; a gaseous flash/arc of ionized plasma gas is safely released from about 1mm above the skin. 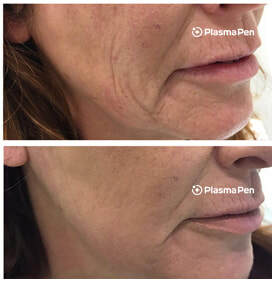 Ultimately, our device is heating and subjecting neutral atmospheric gases (in our case oxygen and nitrogen) to electromagnetism to create an electrically conductive cloud of ionized gas. 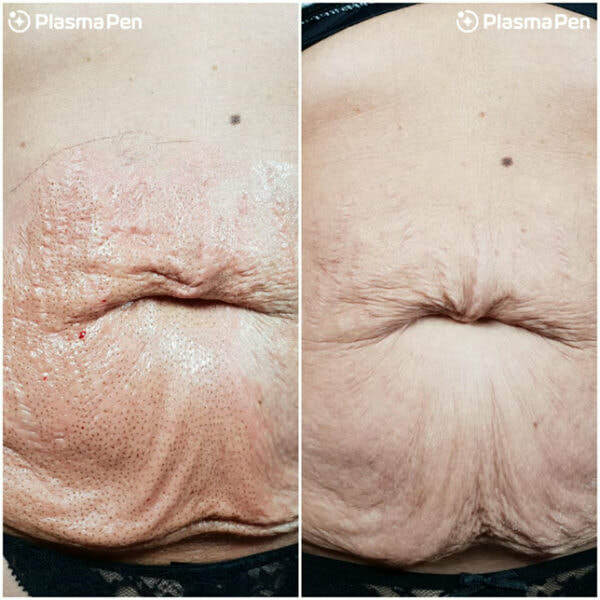 We transmit that energized plasma in its gaseous form (nitrogen plasma), in a non-contact way, to the skins surface from above. 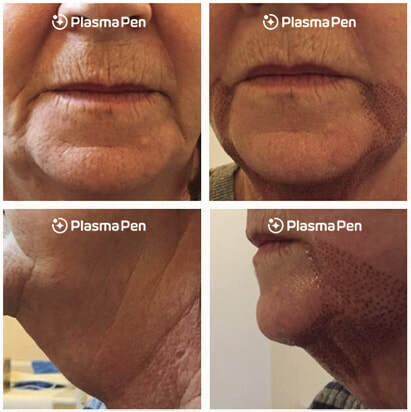 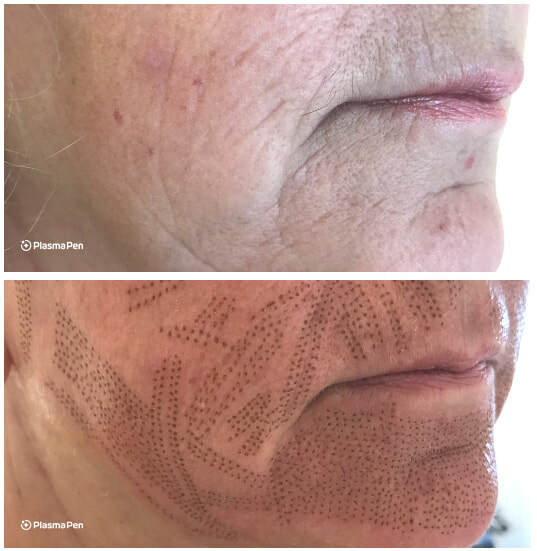 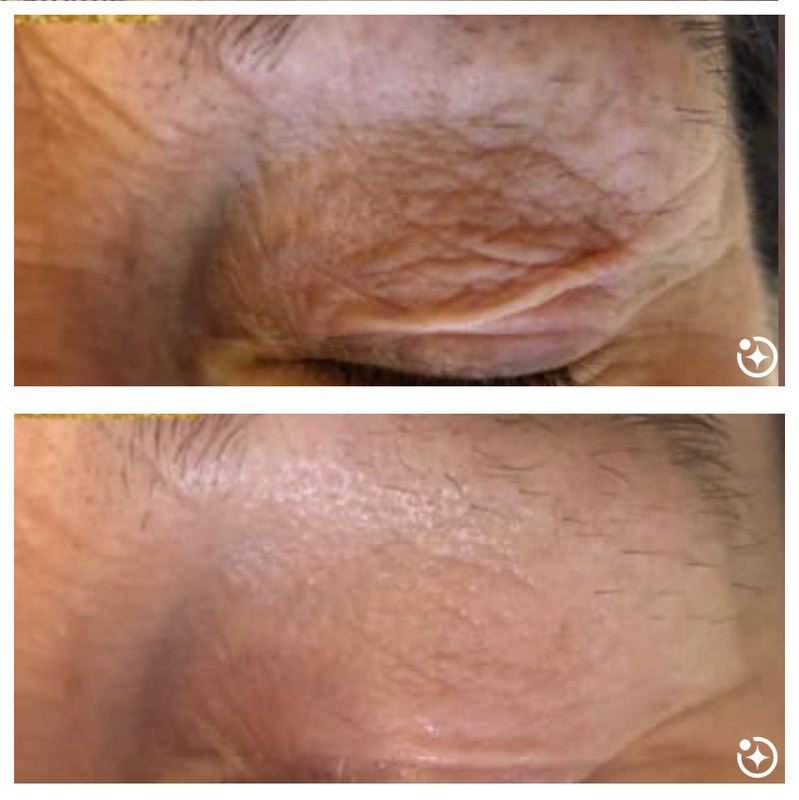 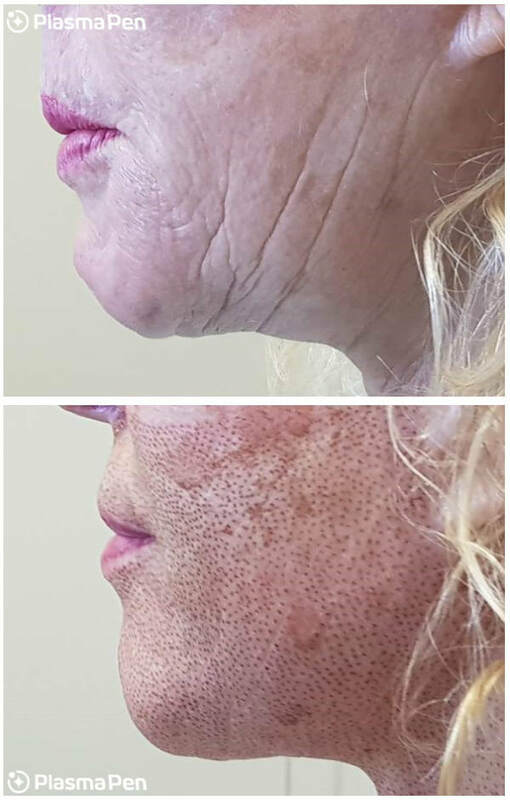 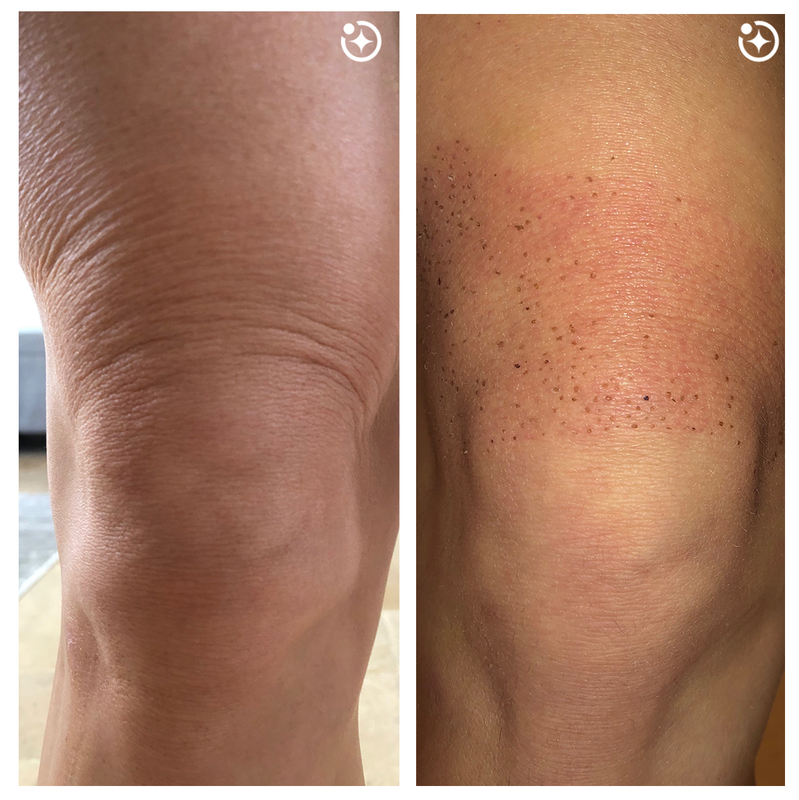 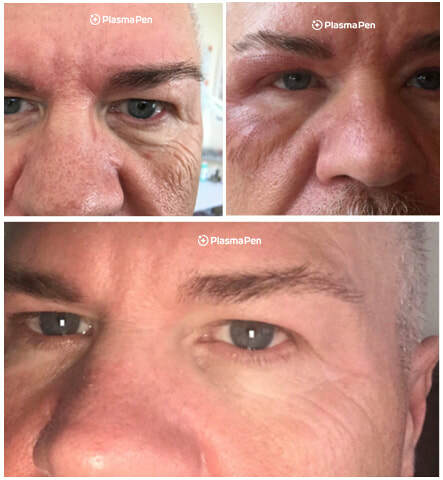 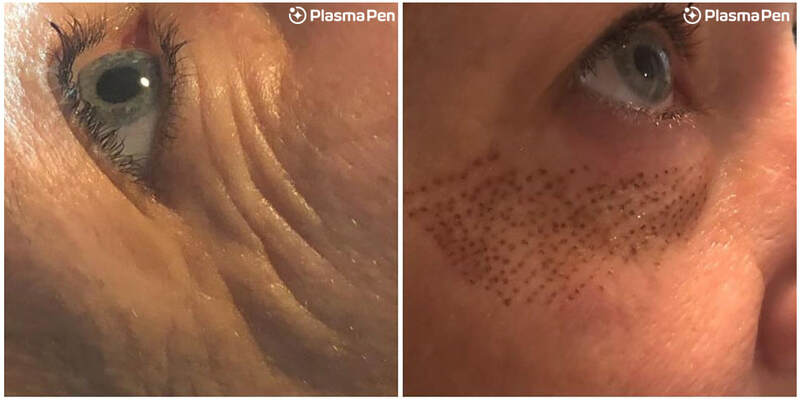 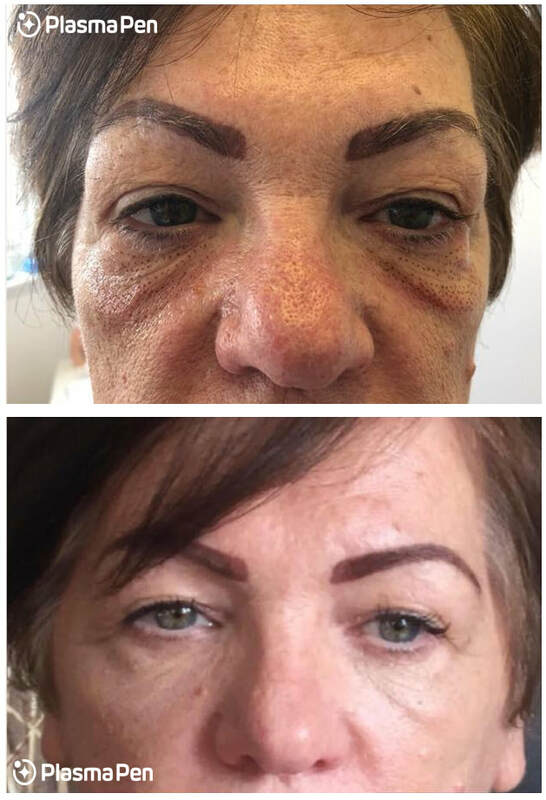 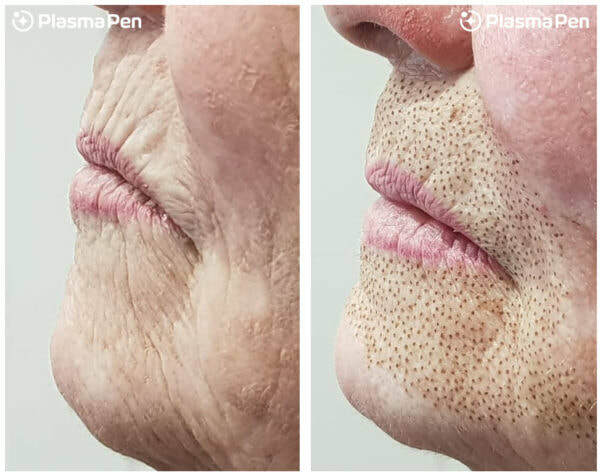 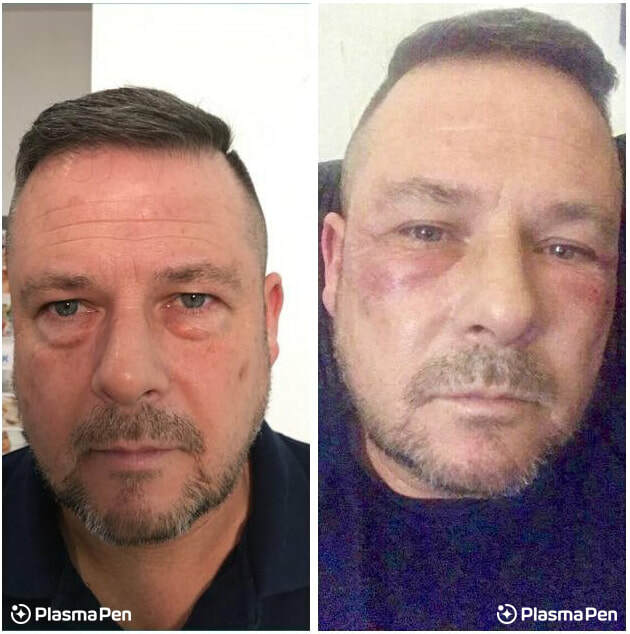 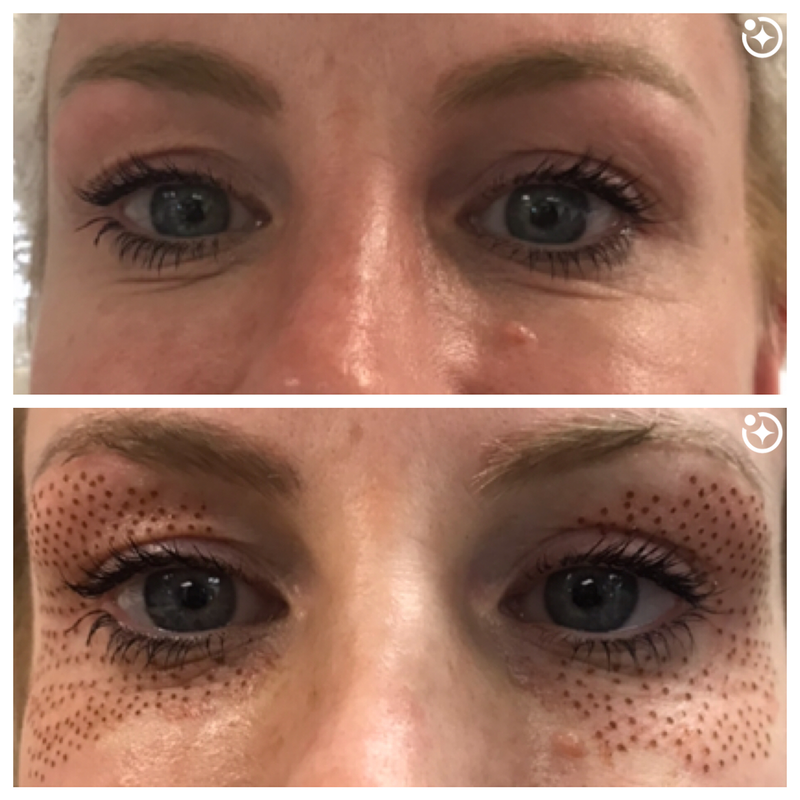 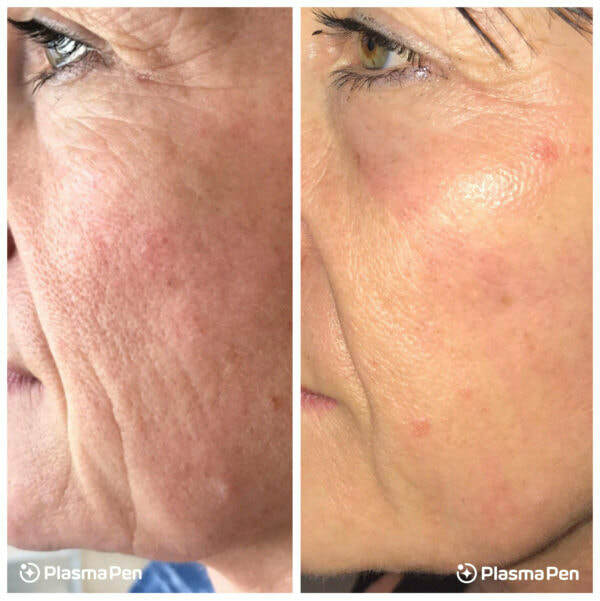 This nitrogen plasma energy we create transfers rapidly to the skins epidermal layer whilst, simultaneously, heating and disrupting the deeper dermal structure via thermal conduction.